The State Republican Executive Committee held its quarterly meeting for the 3rd Quarter of 2018 on Saturday. A lot of information was covered that I wanted to be sure to share with all Texas Republicans. We were pleased to have a special visit from Senator-elect Peter Flores. As State Senate Republican Caucus Chair Paul Bettencourt pointed out – Senator-elect Flores’ election marks the first time in Texas history that the Republican Party has had a 2/3rds supermajority in the Senate with a full 21 of the 31 elected seats. Senator-elect Flores’ victory in a district that Hillary Clinton won by 12% in November 2016 is a testament to his quality as a candidate, the hard work put in by him and everyone on his campaign, and the unified support provided by all Republicans from the Governor and his campaign, the Lieutenant Governor and his campaign, the Republican National Committee, more local volunteers than we can count, and the Republican Party of Texas. This was just the most recent exciting example of the kinds of results we can get from the incredible hard work the RPT has been doing. We’ve had full-time field staff across the state for over a year and the voter identification and contact work they have done is showing. More than 1,000 candidates are using the data that the RPT has provided. This data includes the best and broadest set of voter information available at no cost to them and we are seeing incredible results. The Absentee Ballot mailer that Senator Dawn Buckingham’s great Victory team raised the funds to send to to over 700,000 homes and nearly a million Texas voters will help all our candidates up and down the ballot. Our Treasurer, Larry Hicks, provided his report to the SREC, and among the information he shared included the following:. the Victory campaign has already successfully completed and paid for their biggest project and still has hundreds of thousands in cash on-hand. This is a great sign that the Republican Party of Texas’ track record of success on all fronts in the past year continues and sets us up well for the victories we must see in November. We also shared the latest fundraising numbers for the year. Those numbers show that we are well above budget in every category except one, and that this years’ average monthly total fundraising is not only the best we’ve had since 2012, it’s 15% higher than the second best year since 2012. During and prior to the State Convention there were allegations that cash balances, fundraising and convention accounting were being misrepresented and misreported. At our SREC Organizational Meeting after the Convention, I asked that an Audit Committee be formed and a special audit be conducted to prove or disprove those claims. The SREC approved my request. Our RNC National Committeeman and Committeewoman appointed the three Audit Committee members. Since we already had an audit for all of 2017 that had found zero issues, the committee charged the audit firm with investigating transactions from January through June of this year and comparing reported cash balances and revenue to actual. The firm was also charged with investigating whether convention expenses paid by the Party to cover required deposits were reimbursed by the convention accounts after convention sponsorship and registration funds were received. that the convention expenses advanced by the Party’s unrestricted accounts were all reimbursed from convention accounts by the end of June, and, that the cash balances were all correct, with one exception. Across the 16 bank balances reported every month, there was one month when one of the bank balances was under-reported by $1.20. As the audit firm representative told the SREC, this would not be mentioned in any normal audit. In this type of detailed audit, though, they evaluate to the penny and therefore included it in their report. It is good to have this independent validation that the claims made against the RPT were completely false. The Officials committee is charged with conducting the business of the RPT between quarterly SREC meetings. The committee’s voting membership is made up of the Chair, the Vice Chair, five members elected at large by the SREC and two members appointed by the Chair. In Saturday’s election, Sue Evenwel (SD 1), Jason Ross (SD 2), Mark Ramsey (SD 7), Tanya Robertson (SD 11), and Mark Dorazio (SD 25) were elected to the committee. For his experience working with the legislature and elected officials, I appointed Terry Holcomb (SD 3). For his insight as President of the Texas Republican County Chairmen’s Association and experience as a county chair, I appointed Jack Barcroft (SD 24). The committee has already jumped in on difficult questions we face going forward and I am grateful to all of them for being willing to serve and look forward to working with them this term. Quite a few decisions were made and discussed in the meeting regarding our Rules and Bylaws. The SREC unanimously affirmed a clarification provided by me a few weeks ago regarding County Executive Committee (CEC) organizational meetings. That clarification states that the CEC organizational meeting is the first CEC meeting held each biennium at which bylaws are adopted and Precinct Chairs are sworn in. Since bylaws are adopted, and not amended, at such a meeting, the threshold for approval of those adopted bylaws is a majority of those voting. Changing the name of the Legislative Affairs committee to the Legislative Priorities committee to be consistent between RPT Rules and SREC bylaws. There was much discussion on bylaws changes to the scope of contracts that the Officials Committee must approve. Most of that discussion was around whether or not to charge the Officials Committee with specific oversight on any potential compensation for an RPT Chair. Further discussion and a decision on that potential bylaws change was postponed until the next SREC meeting. I argued for Chair compensation on the Rules Committee at the 2016 RPT State Convention. Unfortunately, at Convention this issue simply cannot be considered on its own merits. It is unavoidably made a personal campaign issue and affected by the politics of the Chair campaign when emotions are most raw, not evaluated properly as a separate question of what is best for the RPT. Over the past year, though, the SREC has faced tough questions and taken bold stances that the party had not taken in years past, including actively promoting grassroots issues, the platform, and the legislative priorities. I commend the SREC for considering this important change as well. By doing so they continue to prove their willingness to put the party’s mission and needs ahead of the all-too-common tendency to keep to the status quo. As a grassroots party, it is ironic at best that our current party structure effectively restricts potential chair candidates to only those who have independent wealth or sufficient passive income. As those who believe in the benefits of competition, we know the party would be better off with more competition from more candidates. The kind of turnover the RPT has faced in its Chairs, with two successive midterm Chair elections held by the SREC, is not positive and something that should also be better avoided if Chair compensation is available. Finally, the party would be better off with the undivided attention of a Chair, and that is only a reasonable request if compensation is offered. In the coming weeks, we will build upon our momentum. We will continue to work to achieve record fundraising numbers and to elect Republicans up and down the ballot. We are entering the time of campaign season where each and every minute matters and enabling the Chairman to dedicate their full attention is more critical than ever. The SREC will take up this issue again at the next meeting on November 30th and December 1st. As in all other issues, I welcome your thoughts as you consider this latest bold move for our party. The Candidate Resource Committee has reviewed hundreds of applications and approved the distribution of tens of thousands in direct contributions to Republican candidates at all levels across the state. The Party Organization Committee recommended the creation of a working group to focus on voter registration of new movers. 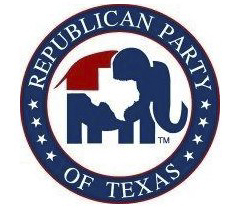 The Auxiliaries and Coalitions Committee recommended approval of the Texas Republican County Chairmen’s Association as an Auxiliary and that Terry Holcomb be the representative of the SREC to that organization. Both were approved. The Resolutions Committee presented resolutions commemorating the 150th anniversary of the passage of the 14th amendment to the U.S. Constitution, and a resolution on protecting the rights of citizens to vote. The Legislative Priorities Committee has already begun helping legislators craft legislation and testifying at committee hearings. The most recent was when SREC Members Summer Wise and Mark Ramsey testified at the Senate Select Committee on Property Tax Reform on September 20th. They reminded the Senators that, after Senators listened to approximately five hours of testimony on how the appraisal and appraisal review board processes are deeply and likely irreparably flawed and unfair to taxpayers, that the RPT platform has a solution – abolish the appraisal and appraisal review process entirely and simply use the actual transaction price of the property until it is sold again. Most committee work will be done electronically and via teleconference when not actually in Austin. Please let us know if any of you reading this can help in one or more of this committee’s working groups. These working groups are open to all Republicans, not just SREC members. The State Convention Ballot Integrity Committee proposed seven new procedural safeguards for ballot integrity at future conventions. The SREC approved all 7 with no amendments. The Engagement Committee has already begun working with groups and individuals across the state to achieve their goal of growing the party. Those efforts have included initiatives with Republicans and independents in Hispanic, African American, faith, veteran, high school, college and young professional communities and we look forward to seeing the fruits of those efforts. The Convention Arrangements Committee is excited to have much more time to prepare for the 2020 State Convention this time than the mere 10 months they had for last State Convention, and already hard at work on making sure the Houston 2020 Convention is an incredible experience for all of us. The Advancement Committee recommended working groups for an RPT Speakers Bureau, to maximize our legislative activities with the Strategic Texas Activist Team volunteers, to help provide a base level web site functionality for all county parties in need of such, and to work on ballot propositions for the 2020 primary. It is very likely that at our next meeting we will begin our SREC agenda on Friday evening, November 30, and continue our work on the morning and early afternoon of December 1 to allow us to complete all our business for the quarter while also leaving sufficient time for members to leave early on Saturday afternoon for other activities. These are challenging and exciting times for Texas and the Republican Party, but I am confident that we are up to those challenges and will also be able to take advantage of the many opportunities before us. Turn out for the November election and vote straight ticket Republican! Then encourage all your friends, neighbors, and family members to do so as well!